In fall 2016, the County of Los Angeles Public Library (as it was then called) was having an identity crisis. Customers were largely unaware of the plethora of services offered, such as free e-resources, Maker spaces, parenting help, tutoring assistance, and family activities. They also didn’t know that each individual location belonged to a larger system that serves everyone in the county. “With the library serving 49 cities plus unincorporated areas, via a system of 87 libraries...the challenge was breaking through the noise...especially when other library systems coexist in the area,” says Janice Hahn, supervisor of the fourth district of Los Angeles County. That’s when the in-house marketing team, which at the time had been in place only a few months, went to work on a reboot of brand awareness. 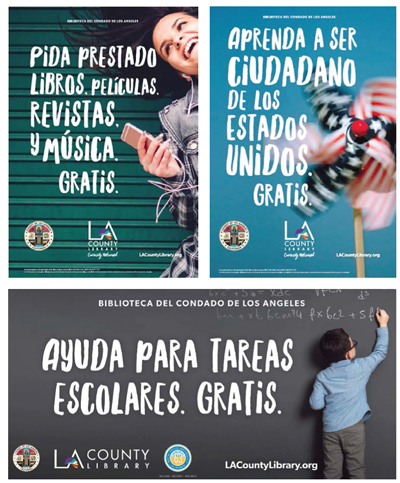 “The rebranding is not superficial but holistic, increasing organizational value for both staff and customers by going beyond updating promotional efforts to letting the new brand drive everything they do,” says Corey Calaycay, chair of the LA County Library ­Commission. The effort netted the group of nine—Geraldine Lin, marketing director; Karol Sarkisyan, marketing manager; Jessie Towers, marketing analyst; Tamera Tarver, graphic artist; Joshua Irwin, Internet services manager; Mary Yogi, social media manager; Pamela Broussard, public information officer; Esmeralda Delgado, data analyst; and Carol Lopez, staff assistant—LJ’s 2018 Marketer of the Year Award, sponsored by Library Ideas, LLC. The honor, which comes with a $2,000 prize, recognizes the importance of innovative approaches to marketing library services and the role of marketing in building library engagement and defining a library’s relevance in the community. The rebranding process began with the most obvious touch point: the library’s name. Through a series of visioning sessions in which community members and internal stakeholders provided feedback, the team found that the existing name, “The County of Los Angeles Public Library,” was forgettable and a bit clunky. “LA County Library” was deemed more memorable and modern and received unanimous board approval. The website URL, ­Colapublib.org, was also found unintuitive. This discovery phase allowed the team to identify not only the library’s weaknesses but at least one major strength: exceptional customer service. 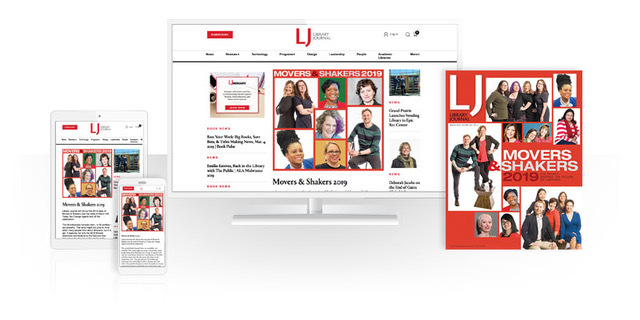 “Over and over, our customers gave us high marks on the friendly and personal services we provide,” Lin tells LJ. It also became clear that patrons think of “customer service” as more than just direct staff assistance. 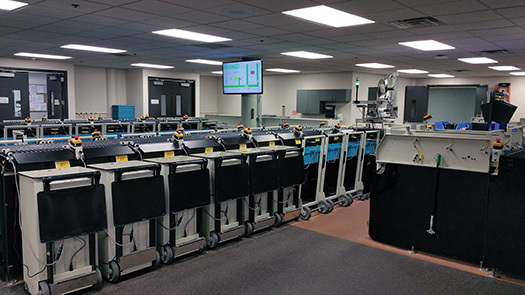 They lauded the cleanliness of the system’s branches and its policies, such as ten pages of free printing per day and lower fines compared to other systems. 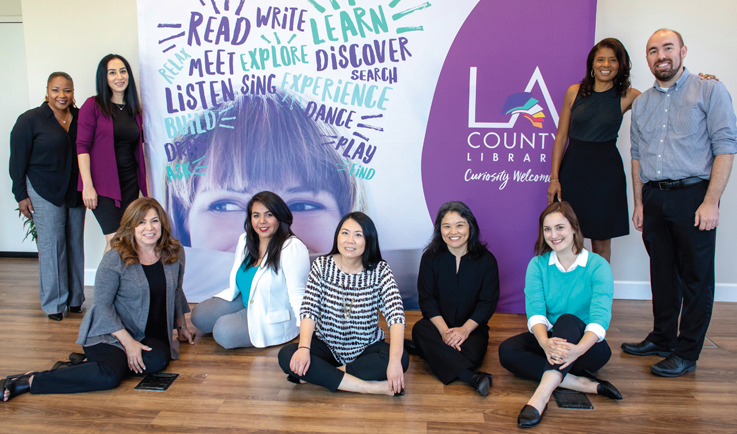 For the curious person who seeks free resources and knowledge, LA County Library is a trustworthy, community-driven guide that provides accurate information and enriching experiences in welcoming spaces with excellent customer service, because we believe every perspective matters. At the same time, a tagline was established to convey succinctly the library’s identity: Curiosity Welcomed. Previously, each piece of library collateral had been designed as a stand-alone, but now a consistent look and feel were imperative. With the essence of the brand crystallized, a graphic designer was hired (on a $15,000 contract) to use it as inspiration for several iterations of a new logo. The public voted, and the winner served as the springboard to an internal brand guide to color palette, fonts, layout templates, even a copywriting style guide. The marketing team rely on librarians and other employees to help them with creating flyers and staffing outreach events. Now everything from holiday closure announcements to email signatures would be consistent. The team also had to create brand architecture to dictate how branding should be handled with materials designed by third-party vendors. As is the case for most libraries, outside companies such as OverDrive, Kanopy, Career Online High School, and Discover & Go provide collateral. “Due to limited resources, libraries usually use whatever these third-party vendors provide. 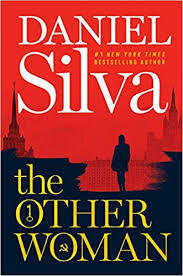 However, it creates confusion for customers, as they do not necessarily distinguish between product vendors and the library,” Lin tells LJ. Meanwhile, the team was simultaneously working with a web design company to develop a new site, at a cost of approximately $350,000. LACountyLibrary.org launched in July 2018, a mobile-friendly site with more modern graphics and easier navigation compared to its predecessor. The focus of the homepage is an oversized search bar, a wink at the overarching idea of curiosity. Lin feels that the fun and creative design approach of the site, as well as other visual components of the brand, is what customers now first notice. The next move was getting the word out. After strategizing with field staff, they pinpointed a key audience for non­traditional services: Spanish-speaking immigrants. 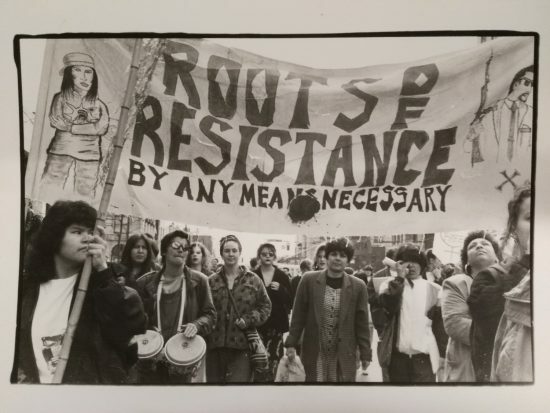 Targeting was narrowed further by using the “Portrait of Los Angeles County” report, which identified 19 branches that sit in “precarious” communities. These communities are more than 80 percent Latinx and nearly 40 percent foreign-born. A massive awareness campaign, doubling as a rollout of the new brand style, blanketed the vicinities of those 19 libraries. It included 40 digital billboard and 70 bus stop ads. TV and radio advertising on Spanish-language outlets was also purchased. The emphasis of these ads was that services such as homework help, assistance with U.S. citizenship, and use of computers and printers are free. The targeted populations often come from countries where such services, if they’re available, come at a cost. The priority was breaking through the assumption that what the library offers has a fee. The team is taking a phased approach to be fiscally responsible. “We are able to reduce the overall impact of rebranding and spread the cost over multiple years,” explains Lin. For instance, old materials are being used up before new ones are ordered. With the exception of building signage, the entire rebranding process should be completed by June 2019. Lin, who previously worked in the private sector as a brand manager, has expertise that allowed the project, except for design services, to be handled in-house. Designers’ fees were minimized because they were handed a specific idea of the direction in which to go. Had the entire project been outsourced to an agency, costs would have been ­prohibitive. That return on investment can already be seen in the engagement of new audiences. In June 2018, only one month after the new brand was officially introduced, there was a 32 percent increase in total active new customers compared with June 2017. Freelance writer Christina Vercelletto writes for Education Dive, Family Circle, Trip Advisor, and NY Metro Parents. The Seattle Public Library launched its newly redesigned website at spl.org in April, the culmination of a nearly two-year project promised as part of the 2012 levy and the first time the site had been redesigned in 14 years. 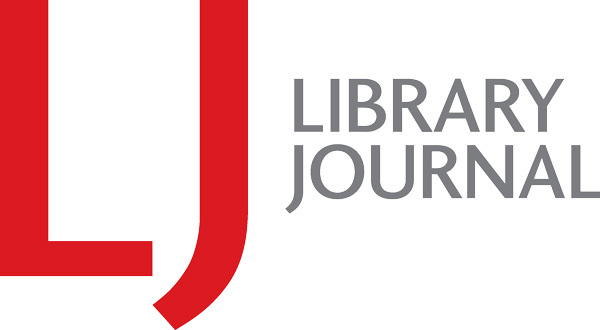 The library hired design agency Domain 7 to facilitate discovery, conduct usability testing, and carry out wireframing and front-end coding, while website design direction, content, community outreach, and the launch marketing campaign was developed by the in-house team, for a total budget of $250,000. Domain 7 became a strong advocate for the library’s approach. The firm’s Kevan Gilbert credits SPL with using “deep community engagement to pursue real digital innovation.... Often, ‘catching up to the future’...is done at the expense of democracy...not so at Seattle Public Library,” enthuses Gilbert. In addition to optimizing for mobile use, the library involved its race and social justice team to ensure the inclusion of all voices at each stage of the design, made accessibility a core project pillar, and held open community workshops to involve the public in decision-making. The latter extended even after the site was complete: the library opened a public beta period for more than three weeks prelaunch so users could test the site, garnering mostly positive responses.